Make sure to get inoculated before watching the next DARK VAULT OF PUBLIC DOMAIN (that’s inoculated not intoxicated, although that probably helps many of our viewers to make it through an entire episode). Join UNCLE PETE this Saturday for the 1980 disaster epic Virus. Directed by Kinji Fukasaku, this film not only contains more big name international stars than any of the usual DARK VAULT fare but the single film salary of any one of these stars is probably bigger than the entire budget of most of the movies we air. The time is the future – 1983. A virus has been created that makes all other viruses even more virusy, er, deadly. No doubt it was created to control kudzu or feral chickens or liberals or something equally as insidious. But whatever it’s origin, some of it has been stolen and gets out in the world when the plane carrying it crashes. The whole world is wiped out. The End. OK, not quite yet. There are a whole bunch of folks hanging out in Antarctica who are not dead and they have to figure out how to save the world. (As we all know here in THE DARK VAULT, listening to THE UNCLE PETE SHOW on the radio is one of the best ways to save the world, but I digress). Lots of post-apocalyptic stuff ensues including a few dozen nuclear threats. The cast includes Glen Ford, Chuck Connors. George Kennedy, Robert Vaughn, Bo Svenson, Masao Kusakari, Henry Silva, Sonny Chiba, Olivia Hussey and Edward J. Olmos. Janis Ian wrote the lyrics for and performed the title theme song. If that doesn’t make it a terrifying disaster movie, I don’t know what does! Plus, as an added attraction, the version we will be bringing you is one you won’t see anywhere else, exclusive to the DARK VAULT OF PUBLIC DOMAIN! 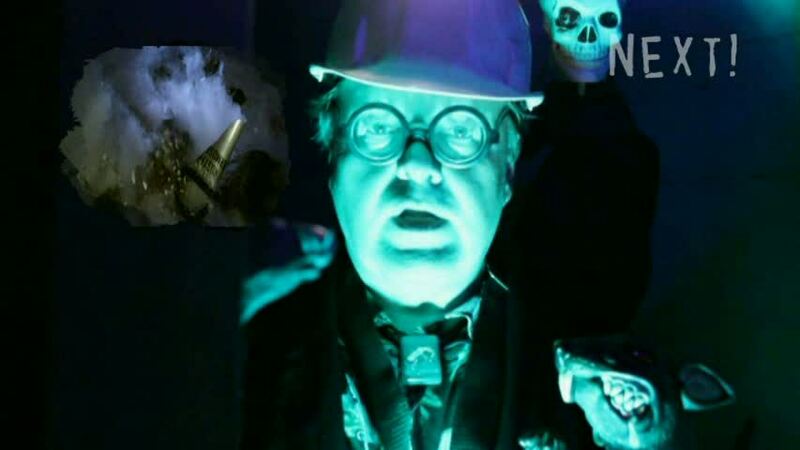 And this week, UNCLE PETE heads down to one of the little seen and mostly unexplored DARK VAULT CRYPTS deep below the eerie, yet bizarrely cheerful, surface of the CINEMA GRAVEYARD from whence most of our movie are dug up. Check your local VITO SHACK ™for a supply of the Vito Gold ™ Universal Anti-Virus Vaccine. So prepare for a dose of disaster this Saturday, April 7, 2012, at 10PM on channel 4. It’s the hugest cast ever and UNCLE PETE on the next DARK VAULT OF PUBLIC DOMAIN! ~ by UNCLE PETE on April 6, 2012.